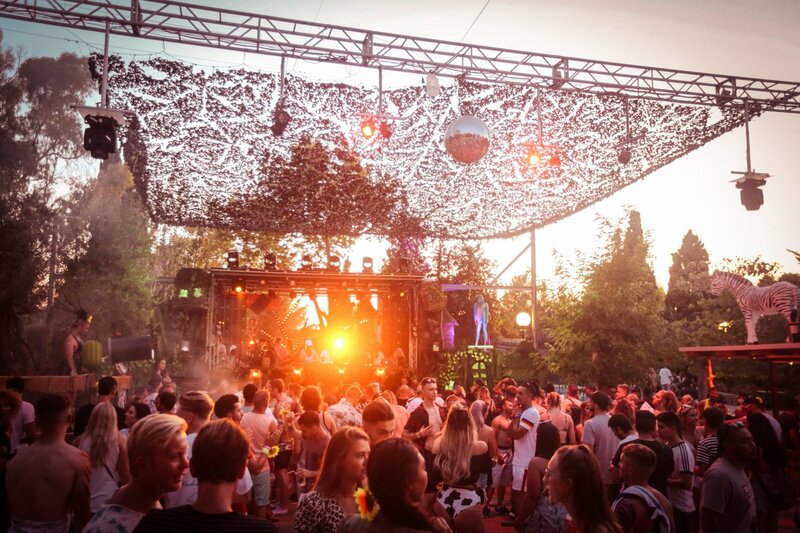 The Zoo Project confirms more great names as well as news on two Saturday events. It's a new dawn, it's a new day and it's a new life at Benimussa Park this summer as The Zoo Project presents NOT NORMAL. With two special Saturday dates to add to the calendar this season, more underground stars are joining the fiesta. We are feeling good. It's better to be weird than normal, and The Zoo Project is legendary for bringing some of the wackiest yet most wonderful vibes to the island. With a unique atmosphere, it defines why partying on Ibiza is so magical. After moving to Sundays this year, The Zoo Project is taking it back to where it began with two exceptional Saturday sessions on 8 and 22 September. This brand-new NOT NORMAL party will bring things to the next level as we reach the final chapter of another epic season. Take a look. Saturday 8 September will see house and tech-dons Shaun Reeves and Stephane Ghenacia continue their 2018 run in the Tree House along with back-to-back beats from Ras Moses, Emanuel Inga, Kali G and Marcelo Cura. Mark down Saturday 22 September, as global underground DJ and Ibiza favourite Bushwacka! will debut at the authentic festival-style party. We can't wait for this one. Take a trip to another dimension at these unmissable NOT NORMAL Saturday sessions with new minimal sounds across the dates. These include Default Setting (Leo MA & Danny Boy & Raio), Real Gang Soundsystem (Miller & Nicolau), Kevin Cook, Los Dos, Dave Hang, Karina, Alberto Segador, Joshel, Secretario, Miguel Roldan, David Lion and more. Along with these spectacular and strange September dates, The Zoo Project continues to deliver stellar lineups for the usual Sunday festival experience. Here goes. Kicking September off with an almighty bang, Dusky are ready to smash their The Zoo Project virginity on 2 September. Set to be a summer highlight, the line-up will also showcase Dana Ruh, Stephane Ghenacia, Eli Rojas, Jimenez and Jeancedric. If you can squeeze into the Rabbit Hole after hours then dance to Defex until late. For the last chance to see Jacky and Monki at The Zoo Project in 2018, head to the raving Seal Pit on 16 September for a party to remember. Federico Grazzini, Michael James, Milou, Lee Pennington, Jimenez, Davina Moss and Ryan O'Gorman will also be providing only the best melodic grooves and tasty tunes. As we reach the penultimate party of the summer on 30 September, catch Adeline for a special extended set. Nakadia, Karina, Milou and more of our favourite residents will also be hitting the decks to mark another fab season. If you can't get enough of Defex he will be returning for one more rave in the Seal Pit. Oh yes. As sad as we are to see this open-air party close its doors for another year, it doesn't stop us from looking forward to another incredible closing on 7 October. Everyone is invited. Underground queen tINI is back along with The Real Gang Soundsystem, hot new resident Cici, and Jeancedric. Stephane Ghenacia, Thomas Roland and Federico Grazzini complete the line-up for a back to back bonanza. Don't miss out this 2018 and tick The Zoo Project off your bucket list. With this line-up, you have no excuse not to. See you there.